Come and enjoy Cosmos Cuisine’s luxurious full service accommodation and traditional countryside hospitality, in the heart of the charming Addo Sundays River Valley; world renowned for its Citrus products, Rose farms and show, scenic drives and Addo Elephant Park. 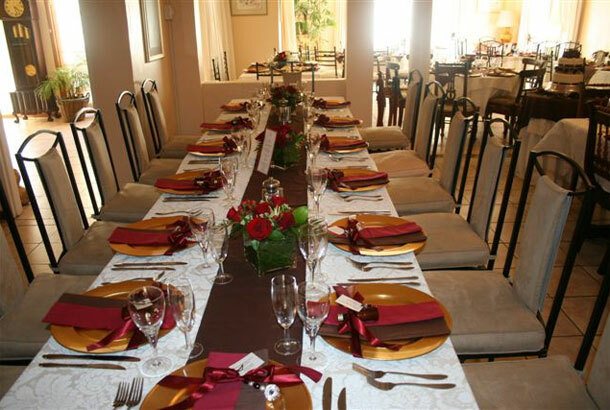 With catering up to 60 guests, Cosmos Cuisine can offer not only spectacular locations and luxurious honeymoon accommodation but also 4 star à la carte cuisine with stylish South African twist. A blend that made our restaurant one of the top 30 in South Africa. With our extensive experience, we can make your special day a magical memory to treasure through your many anniversary’s. 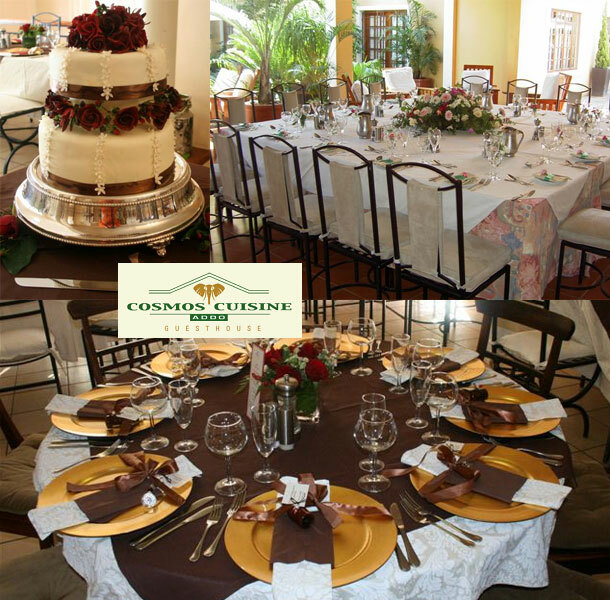 To book your special day here please visit Cosmos Cuisine Guest House.